Modern comfortable life without stress. This project reflects an innovative and modern approach to construction and has every reason to become a pioneer in the use of the new generation housing concept in the region. In five apartment blocks customers will be able to choose from studio, one bedroom or two bedroom apartments. 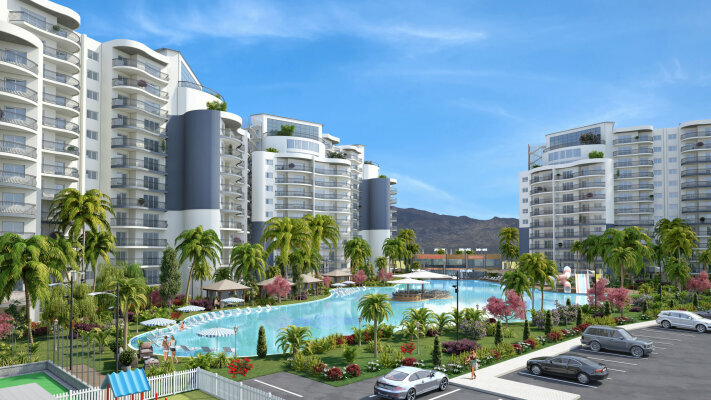 On the territory of the complex you will find three large swimming pools, children's playgrounds and a magnificent park with evergreen plants. children's playgrounds and a magnificent park with evergreen plants. A whole new concept of life.